When I turned the corner after a bit, I came across the #CraftClubHouse. It was a mini-festival curated by DCtoBC and TEAMBBC. I arrived just in time for DJ Spicoli’s set which was awesome as usual. It is really cool seeing him grow as a DJ, he is incredibly talented and is getting noticed which is awesome. You can see him doing is thing for the crowd below! It’s also nice to see DCtoBC doing big things (two events in one weekend, I can’t keep up with them anymore lol). These guys work hard and I don’t even know all the behind the scenes work they do to pull it off, we just get to see the epic finished events we all flock to (and yeah that’s cheesy pride you hear… it’s just nice to see people I grew up with doing big things and being successful!! It’s pretty awesome). 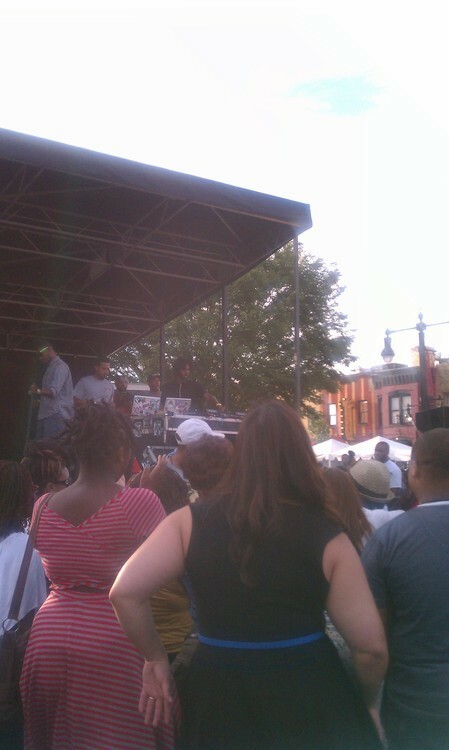 Overall it was a pretty awesome mini festival that hopefully becomes a permanent part of the H street festival!! After the main festivities, I went with some friends to Rock and Roll Hotel which considering that I had not really been doing as much day drinking as the rest meant that I was Sober Sally and got to laugh at everyone. When we were leaving and my friend decided to try and surf on an equipment box which than crashed into the street and fell over so he took off running and since his phone was dead we lost him. Spotting the two drunk girls below on a random deserted corner on my way home: Priceless. Overall it was a pretty epic day and I can’t wait for next years festival!! Definitely will do some better planning next time though lol.